Pellet stoves are a great heating options for your home and durable units that go great anywhere. These units are very stylish, coming with a large bay window that allows you to view the fire and delivering substantial heat so that you stay comfortable during the coldest times of the year. 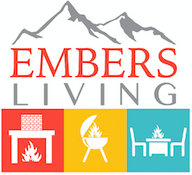 Embers Living has a large selection in stock from a wide range of brands including Regency, Napoleon, Osburn and more, so check them out and find the one that is right for you!